Our Chalkboard Badges can be hand-written on with this liquid chalk pen to give a blackboard effect, resulting in a friendly and professional look. The liquid chalk pens are designed to dry quickly so text does not smudge or rub off, yet can easily be rubbed out with the cleaning cloth provided so you have the flexibility to be creative and reuse your badges for other members or staff, without the need for design software and printers. 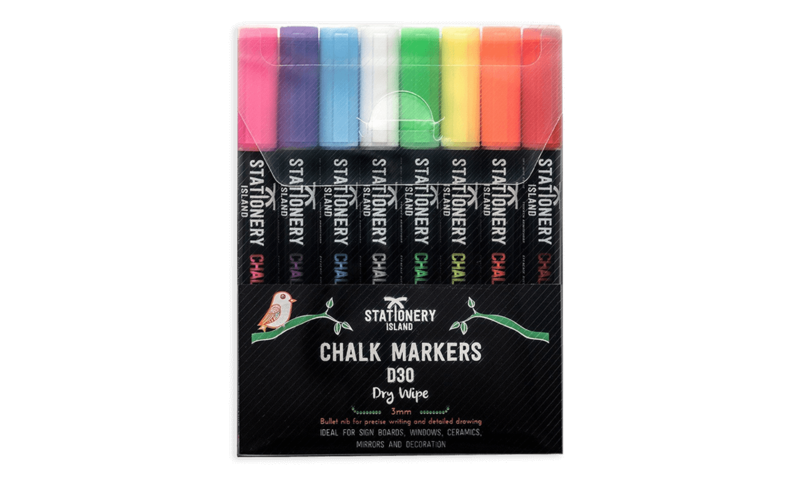 The liquid chalk pens are designed to dry quickly so text does not smudge or rub off, yet can easily be rubbed out with the cleaning cloth.